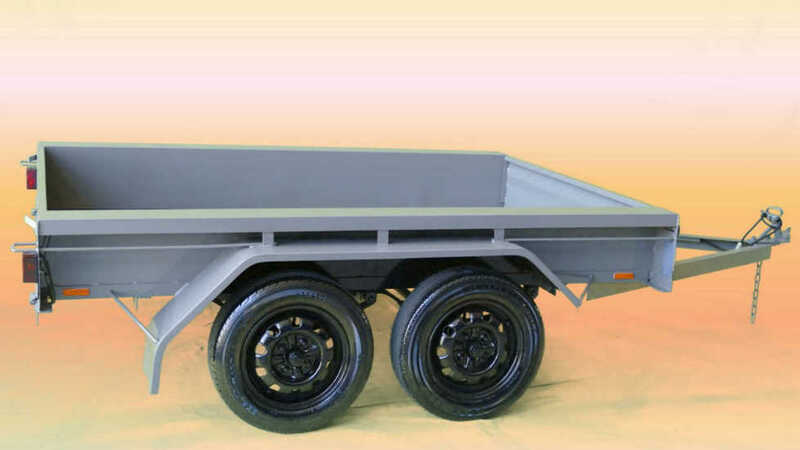 *8x5 Heavy Duty Tandem Trailer. *Gates: Front & Rear Opening. *Side Tie Rails: 15mmx2.5mm Pipe. *Front Tie Rail: 15mmx2.5mm Pipe. *Rear Tie Rail: 15mmx 2.5mm Pipe. *Finish: Painted, Grey,Blue or Black. 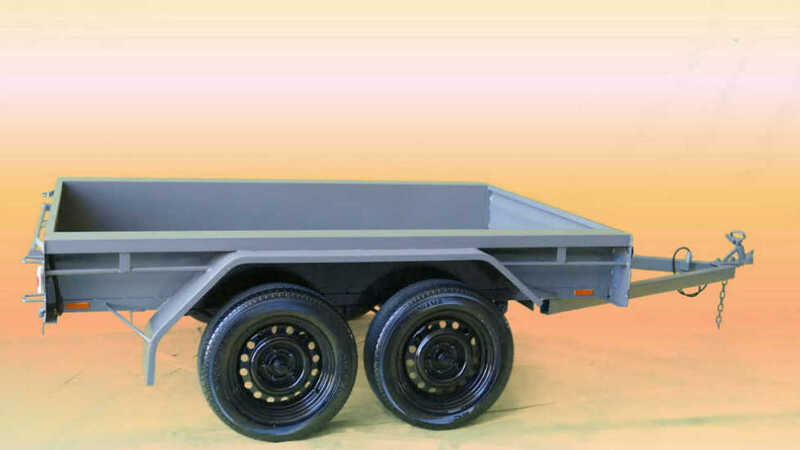 *8x5 Light Duty Tandem Trailer. *Draw Bar: 75x5 x5mm Angle. 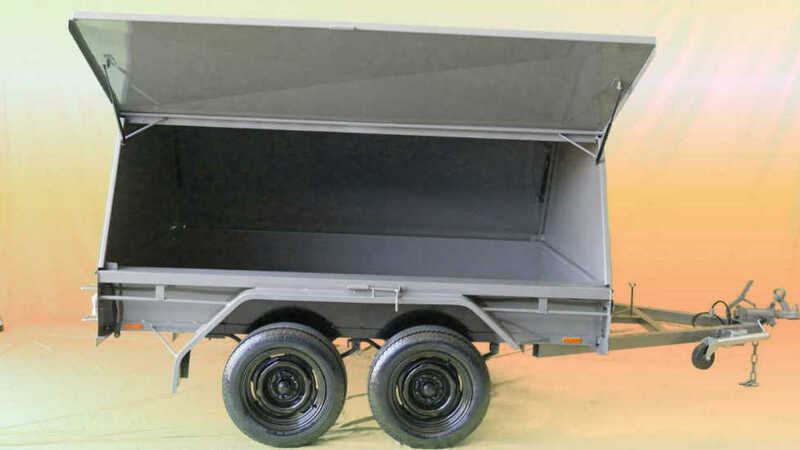 *Side Tie Rails: 12mmSolid Rod. *Front Tie Rail: Not Fitted. *Rear Tie Rail: Not Fitted. *Lights: Bayonet with 7 Pin Round Plug. *Finish: Painted, Grey, Blue or Black. 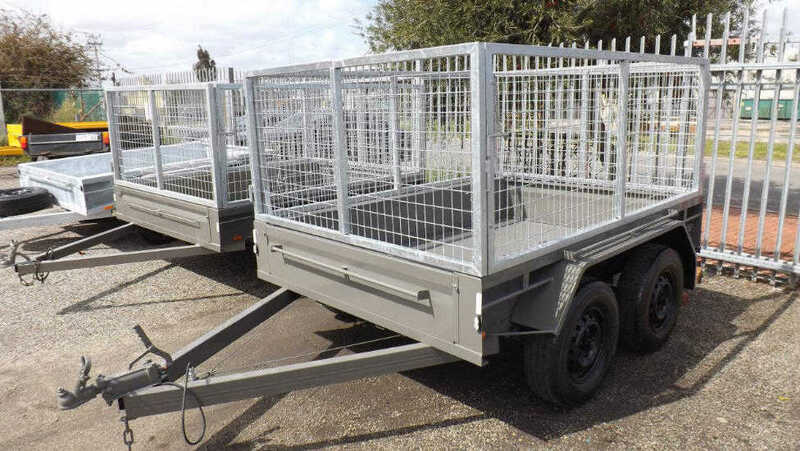 Trades People..... We Carry A Full Range Of Spare parts For Our Trailers And Do Repairs To Trade Peoples Trailers With A Very Quick Turn Around So Not To Cause Any Work Loss. *Side Tie Rails: 15mm x 2.5mm Pipe. *Front Tie Rail: 15mm x 2.5mm Pipe. *Rear Tie Rail: 15mm x 2.5mm Pipe. *Springs: 1250kg Rated Springs. *Lights: LED with 7 Pin Round Plug. PRICE WITH SECOND HAND RIMS & TYRES = $1280 INC LICENCE. WITH NEW 175/65X14 TYRES & NEW RIMS = $1360 INC LICENCE. PRICE WITH SECOND HAND RIMS & TYRES = $1330 INC LICENCE. WITH NEW 175/65X14 TYRES & NEW RIMS = $1490 INC LICENCE. PRICE WITH SECOND HAND RIMS & TYRES = $1595 INC LICENCE. WITH NEW 175/65X14 TYRES & NEW RIMS = $1755 INC LICENCE. PRICE WITH SECOND HAND RIMS & TYRES = $1950 INC LICENCE. WITH NEW 175/65X14 TYRES & NEW RIMS = $2110 INC LICENCE. PRICE WITH SECOND HAND RIMS & TYRES = $2395 INC LICENCE. PRICE WITH SECOND HAND RIMS & TYRES = $3555 INC LICENCE. WITH 4 NEW 235/85X16" 8 PLY LT TYRES & NEW RIMS = $4215 INC LICENCE. 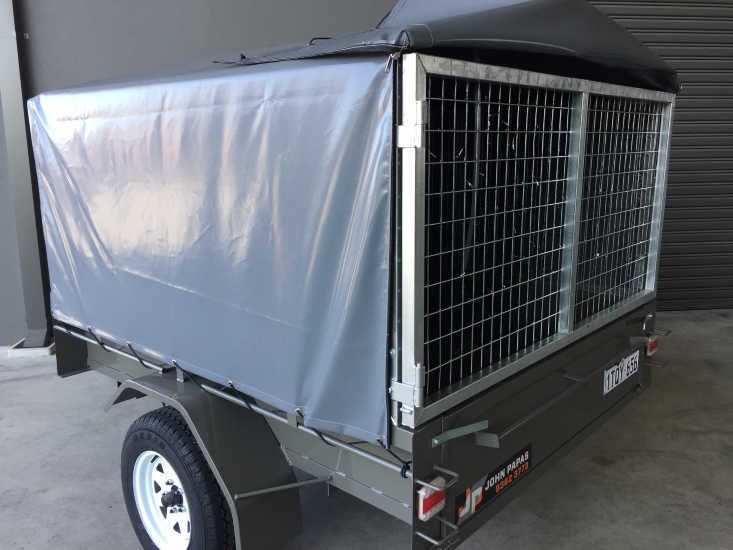 PRICE WITH SECOND HAND RIMS & TYRES = $3815 INC LICENCE. WITH 4 NEW 175/65X14 TYRES & NEW RIMS =$3975 INC LICENCE. 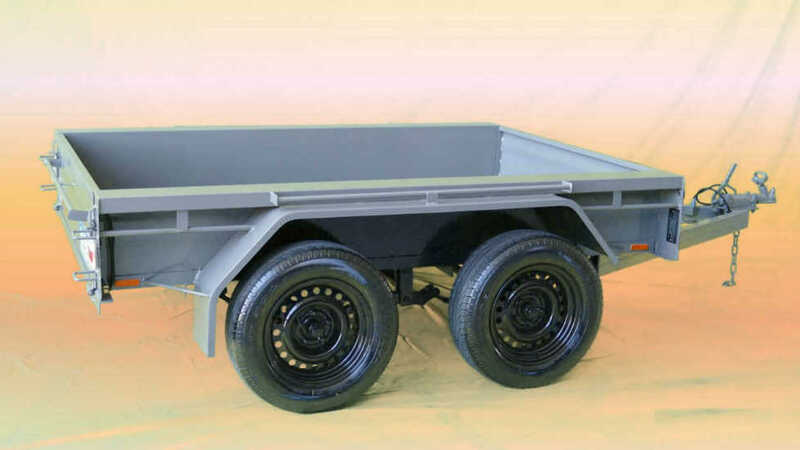 *8x5 H/D Tandem Tradesman Trailer. *Tray: 300mm Deep x 1.6mm Zinc. 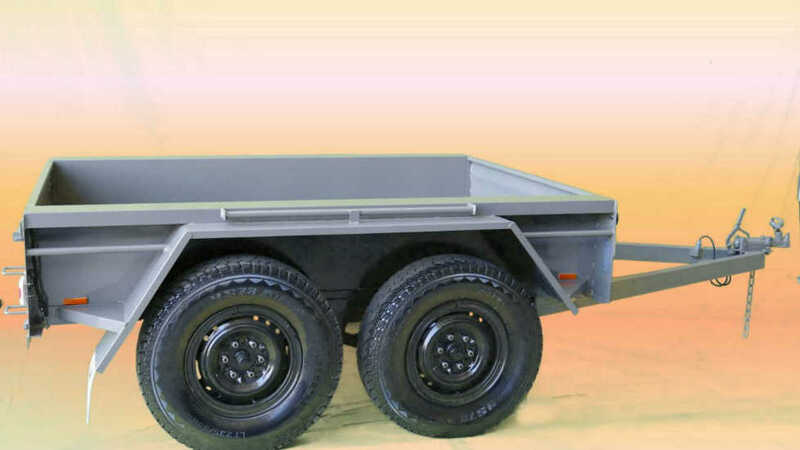 *Rear Tie Rail: 15mmx2.5mm Pipe. *Tradesman Canopy 1m High From Floor. 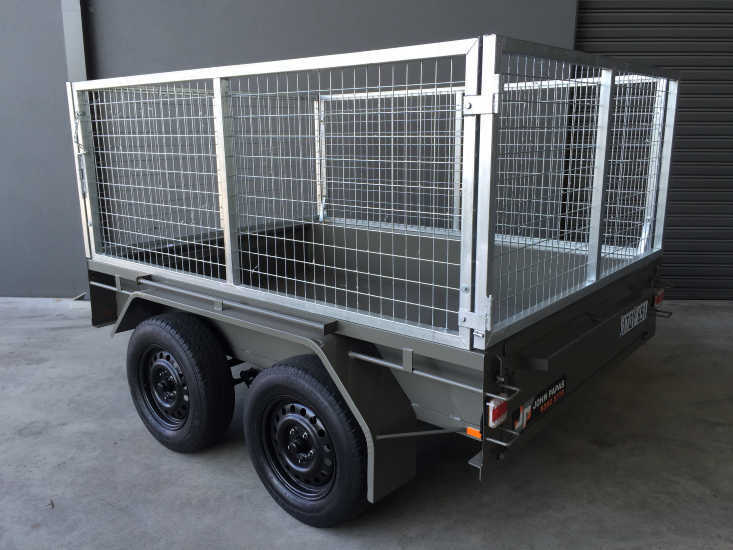 *1 Lift Up Door Each Side Of The Trailer *Provision To Lock The Doors. *Side Tie Rails: 20mmx2.5mm Pipe. *Springs: 2000kg Rated Springs. *Lights: LED with 7 Pin Round Plug. 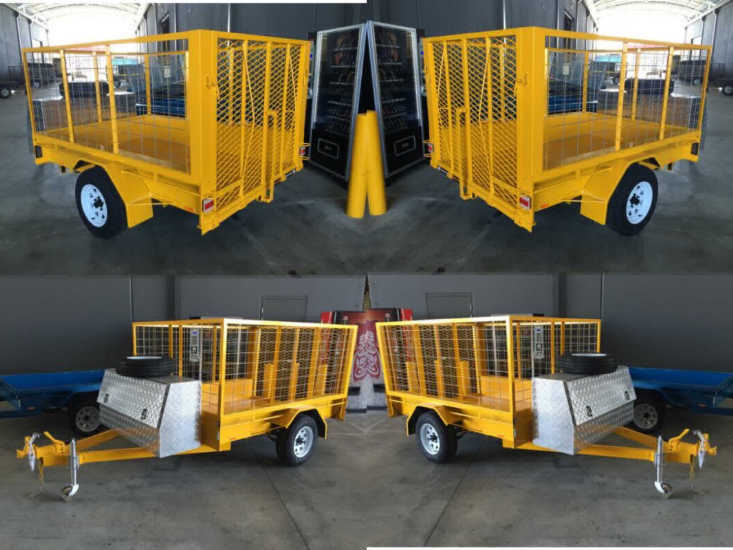 *Front & Rear Opening Gates. *Springs: 1500kg Rated Springs. *Lights: LED with 7 Pin Round Plug. PRICE WITH SECOND HAND RIMS & TYRES = $2095 INC LICENCE. WITH NEW 175/65X14 TYRES & NEW RIMS = $2255 INC LICENCE. PRICE WITH SECOND HAND RIMS & TYRES = $2565 INC LICENCE. WITH NEW 175/65X14 TYRES & NEW RIMS = $2645 INC LICENCE. *8x5 Mesh Cage with Pipe Frame. *PVC cover With 2 Zips At The Rear. 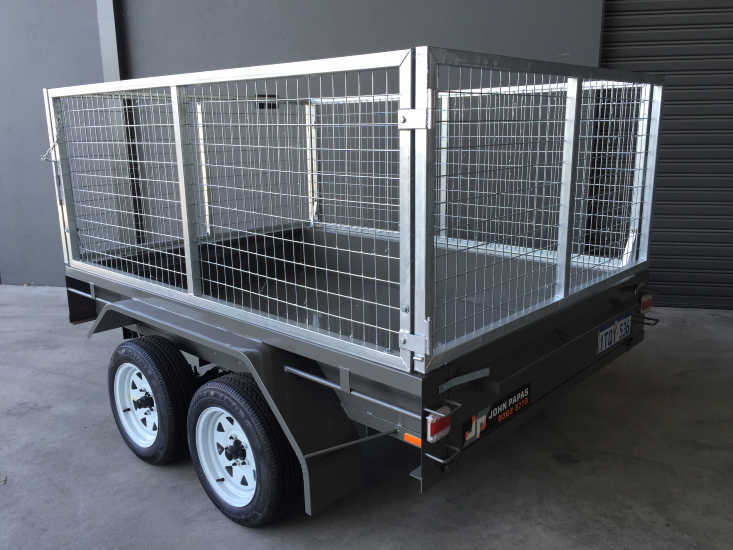 PRICE WITH SECOND HAND RIMS & TYRES = $3680 INC LICENCE. WITH NEW 185X14" 8 PLY LT TYRES & NEW RIMS = $3960 INC LICENCE. PRICE WITH SECOND HAND RIMS & TYRES = $2895 INC LICENCE. WITH NEW 185X14" 8 PLY LT TYRES & NEW RIMS = $3175 INC LICENCE. 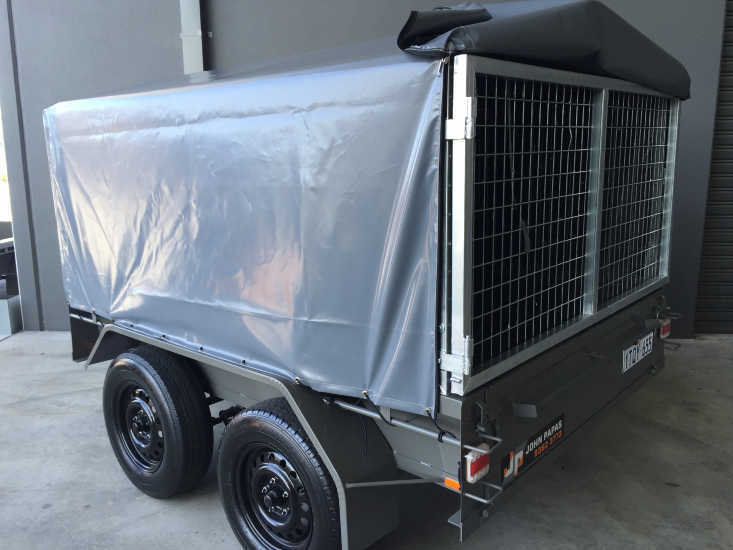 WE HAVE ONE OF THE LARGEST RANGE OF WA MADE TRAILERS IN PERTH.